It was one of those conversations. You know, the kind where you just talk in circles and try to explain your reasons while insulting each other in the process. 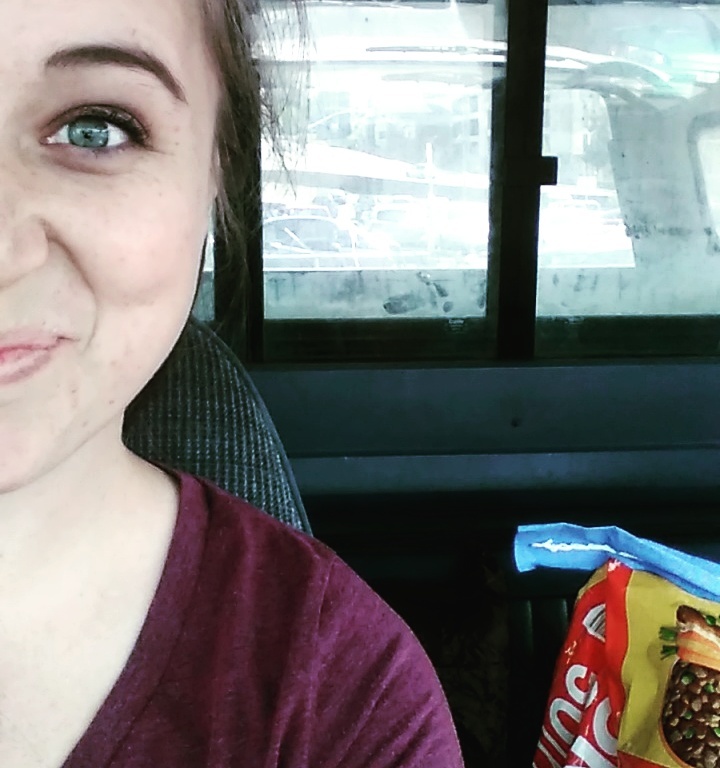 Go ahead, it’s ok to smile or laugh…I mean we’ve all had them. No marriage is perfect. That tinge of misunderstanding is coloring your tone, and it’s just a no-win situation…at least for a little while. And such was the case for the loving husband and the happy wife (aka me & Ben). It was a frustrating conversation about Home Depot (and life, for that matter) and the things we needed to purchase for our home. By the way, his suggested purchases weren’t unreasonable, but I’m a tight wad and don’t spend money when I should. I am happy to report that this photo was taken about a week and a half after the initial Home Depot fiasco! This is me doing grocery shopping and Home Depot errands without throwing an adult fit! We had already had a busy day at work whilst also being hit with lots of different things. I mean, it’s life. That’s what happens. Needless to say, there was a lot going on for the both of us. After getting home, I suggested going into town to get a few things we needed. It would also serve as a nice breather from the tension we were feeling, but then he suggested going in to Home Depot while we were at it. He wanted to conquer more in less time. BUT I DIDN’T WANT TO SPEND MONEY OR SPEND LONGER IN TOWN! Enter in the frustrating misunderstandings, going in circle conversations, not-so loving words, but then a lot of loving words…etc & so forth. Because my husband is patient and kind, he let me make the final decision. I decided that we should go into Home Depot after all. I knew that doing so would be wise. We did need things from Home Depot, and I needed to get out of the house and move on because I was spinning in circles as I am prone to do. So, off we went! I was still a little stressed and very tired, but we were going into town! The drive was beautiful, but my attitude wasn’t going to budge. The stress was still there. We pushed through the 5 pm traffic and got to the grocery store where we picked up the few important items that were needed. I was very hungry by now, and still feeling blah. We get to Home Depot and I say, “I’m just going to stay in the truck. It will be better for you if I don’t go in.” But my husband loves me and insisted I go in because he didn’t want me to sit in the heat. As always, I had to go to the bathroom, so it was easy to agree to go with him. 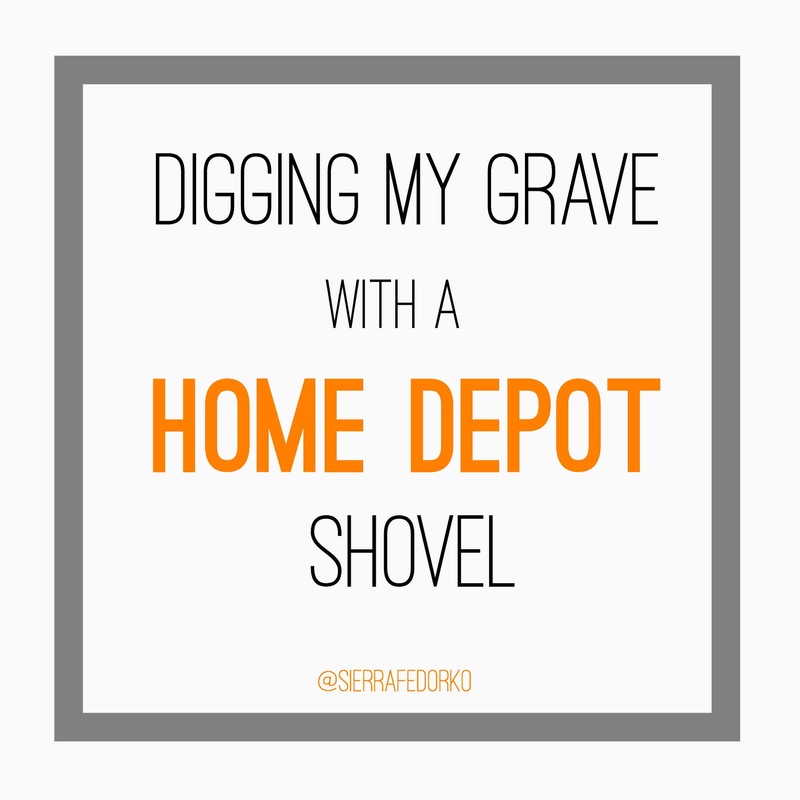 We traipse into that Home Depot full of possibility and I’m not angry, mad, or frustrated. Even though, we have resolved the ( unnecessary) tension, I’m still tired and feeling a little stressed. I go fifteen steps into Home Depot and already find something I like. My husband doesn’t dawdle, and grabs the things he needs. He’s so good at price-checking and not spending when it doesn’t seem quite right. And while this Home Depot visit is not as bad as I made it up to be in my mind, I’m losing energy fast. I use the bathroom. He checks one more thing, and then we are at the check-out. While he pays, I look at the table with Home Depot advertisements. Why do I do this? NO GOOD REASON. I’m simply curious and bored. Suddenly, I am intrigued, because it says “Black Friday Spring Sale!” I wave the advertisement at Ben and he shrugs it off. He obviously doesn’t understand the magnitude of this find! I walk closer, “That was stuff for a Black Friday Spring Sale!” And he says, “Oh yeah, grab one!” He’s excited. I am too. I mean, I found something good in Home Depot that my husband really liked. We walk out those doors of possibility, while I triumphantly hold the Spring Black Friday advertisement in my hand. But it doesn’t take me long to realize something rather shocking. After all that Home Depot tight wad stress, I am the one to find the Spring Black Friday Sale. I am the one to be excited about it first. I am the one to show it to my husband. I am the one to grab it triumphantly from it’s stand and into the waiting hands of my loving husband. ME ME ME. So….who’s the real culprit here? I’m digging my own grave with a Home Depot shovel, guys. I’m the real culprit. Not my husband, not his reasonable purchases, not his few & far between Home Depot visits….IT’S ME. “Yes….all of it.”, he replies happily. Let me just drag this Home Depot shovel to my grave, folks.